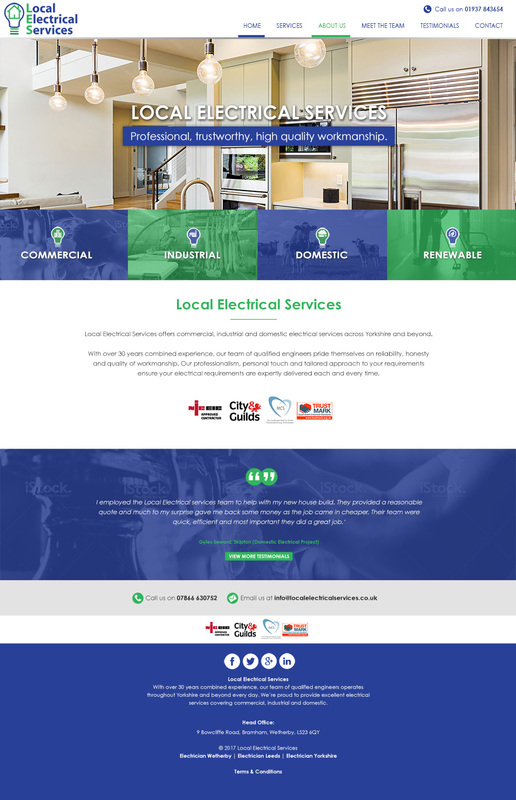 Local Electrical Services offers commercial, industrial and domestic electrical services across Yorkshire and beyond. 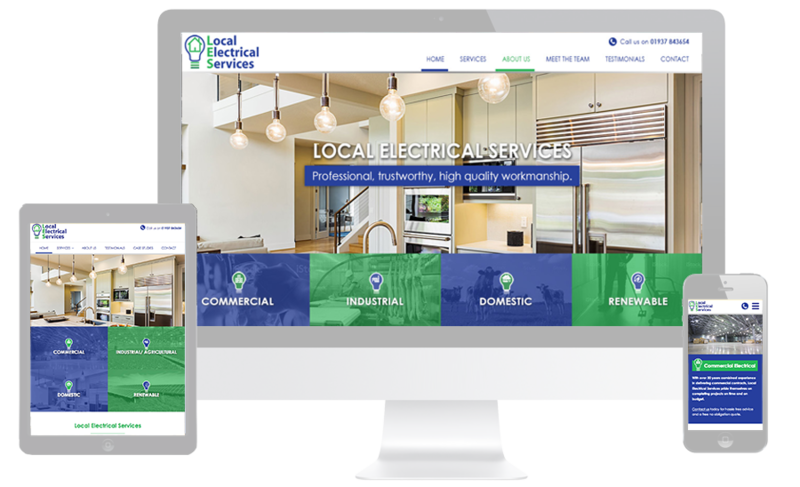 With over 10 years of experience and an expanding team LES needed a modern website to reflect the companies values of high quality with a personal touch. The website was designed using the ‘mobile first’ approach, and as a result is beautifully responsive across all devices. The structure of the site was built around information relevant to the user, and the user journey is simple and effective.